This is a short but fun par 4 that will push you to the limit. 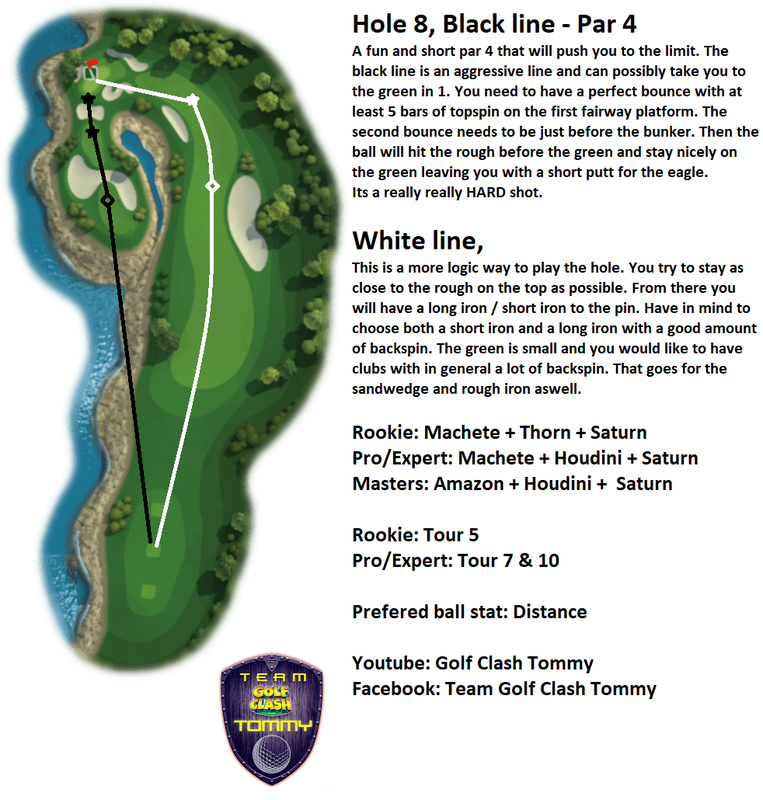 The black path is an aggressive line and can potentially get you to the green in 1. You need a perfect bounce with at least 5 bars of topspin on the first fairway platform. The second bounce needs to be just before the green side bunker. If the ball lands in the rough just before the green, it will roll out nicely and leave you with a short putt for eagle. But this is definitely a HARD shot to pull off. This is the safer way to the play the hole. Play your drive out as far as possible and get as close to the rough as possible. From there, you'll have either a long or short iron to the green. Be sure to put clubs in your bag with a lot of backspin since the green is very shallow coming in from this angle. That also applies to the sand wedge and rough iron as well.